Don't settle for flimsy plastic imposters – our tables are strong and sturdy! 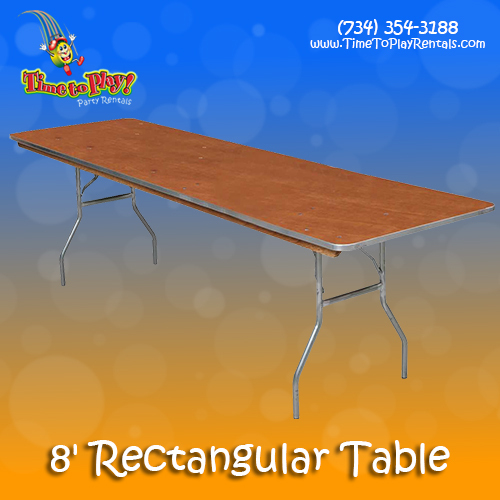 Our 30” x 96” Rectangular Tables can be used for guest seating for 8-10 and food buffets. These tables have wood tops, sealed with stain and polyurethane, and edged with aluminum. Their heavy-duty "gravity-lock” folding legs ensure durability. We offer a large selection of linens to match the theme of your event!